This condition can be caused by many things but sometimes it is as simple as a bad thermostat. Take note of the temperature gauge on your dash and if it is runs lower than normal the thermostat is most likely the source of the problem. On many newer cars this could also activate a "check engine" warning light as a car that runs too cool will not get optimal fuel economy. Another cause for poor heat could be a restricted heater core. This is a small radiator-looking core that fits up in the dash. When the fan blows air across it, its heat is blown into the car. If this system becomes plugged up, the coolant can't transmit the heat to the core and it won't work. Sometimes a good old flush out can clear the core enough to get some good heat flowing again. If the heater fan won't blow at all, you could be dealing with a bad blower motor, or possibly a failed switch. But sometimes the fan will only blow on a couple of speeds and this could be caused by a bad blower resistor. Generally it's the lower speeds that go out and this makes getting a comfortable temperature in the car difficult and very frustrating. Generally this is not an expensive repair. If you have been putting up with this situation, it won't break the budget to get it fixed! 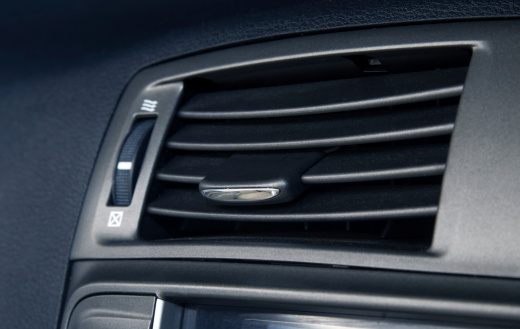 The mode system can fail in all kinds of ways but typically the symptom is you can't get the air to come out either the floor, dash vents or the defrost vents. Sometimes this is accompanied by a rhythmic clicking sound heard under the dash. If you have this symptom, most likely one of the blend-door motors has gone bad and needs to be replaced. Heading into winter you really need to get this issue fixed. You have to be able to direct the air where it needs to go, especially in a defrosting situation. Lastly, remember the air conditioning that you decided not to fix because summer was almost over? Well, the air conditioning plays a big role in helping you keep windows defrosted each winter. When the A/C is working, it can almost instantly pull the moisture out of the air and clear a window; when it's not, it can be a tough battle. It's a good idea to have the A/C fixed for winter driving, too!